Have you played any pranks/tricks on anyone? It ain't no joke.. Some Odd Girl is having another fabulous prize giveaway this month.. not one prize, but TWO!!! 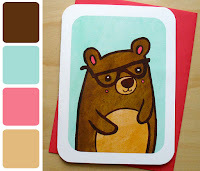 This month we are having a color challenge based off this adorable Nerdy Bear Notecard. 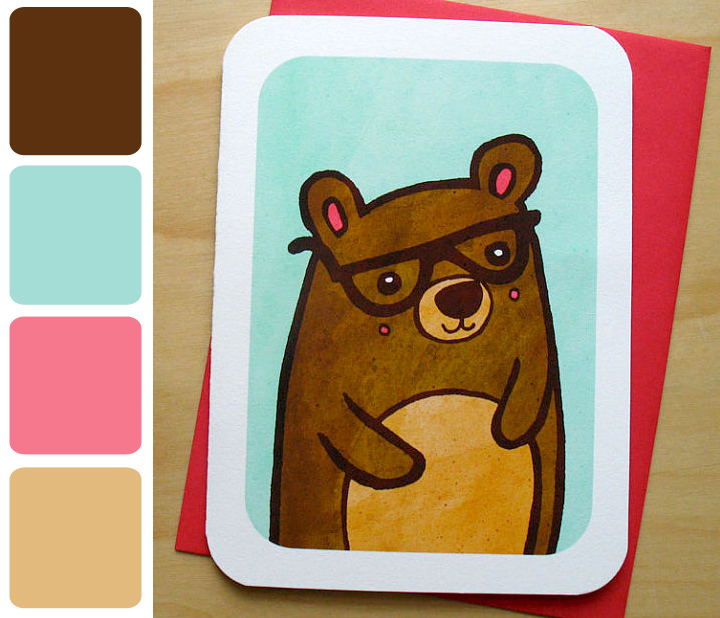 and here is my creation based off these colors using Woodsy Mae. 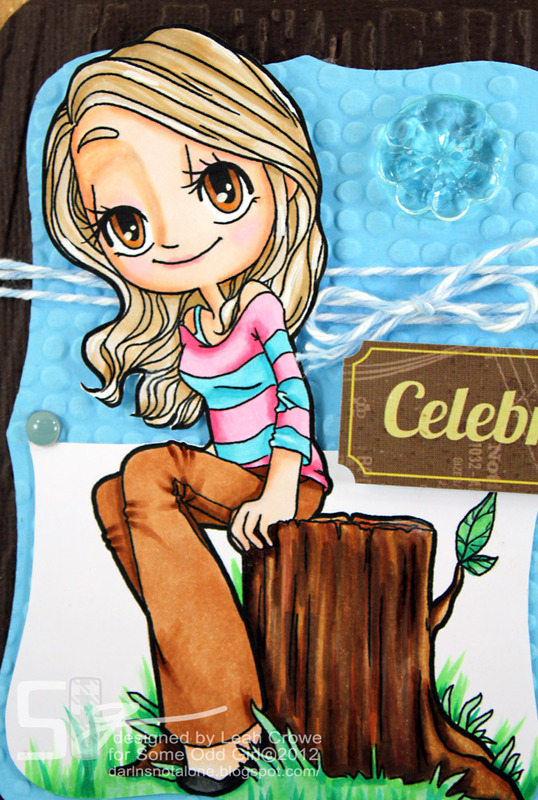 I am so happy I finally got to print out this image and color her up.. isn't that tree stump so much fun?? 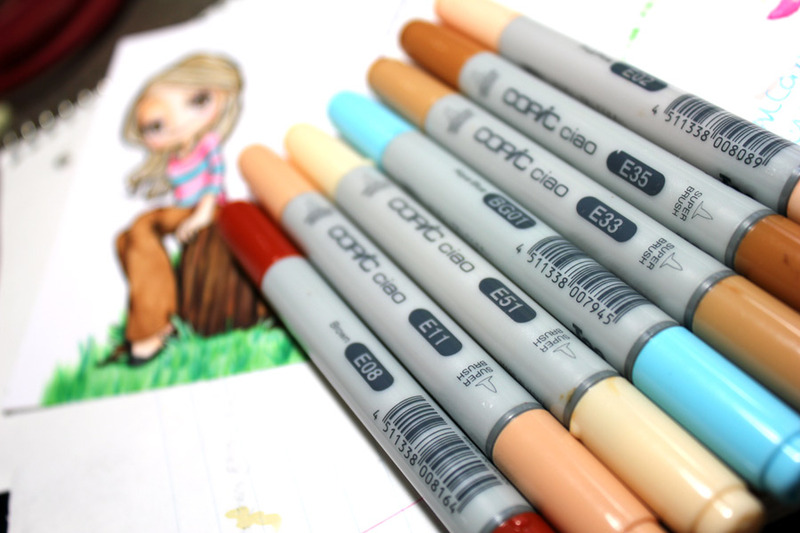 And I loved coloring all her hair! 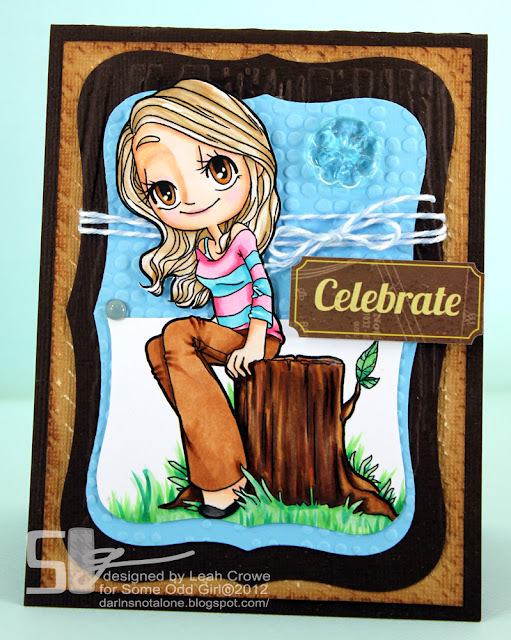 You have the entire month of April to join this challenge so hop on over to see what the DT has created, and link up your own ODD girl creations at the Some Odd Girl Blog!! 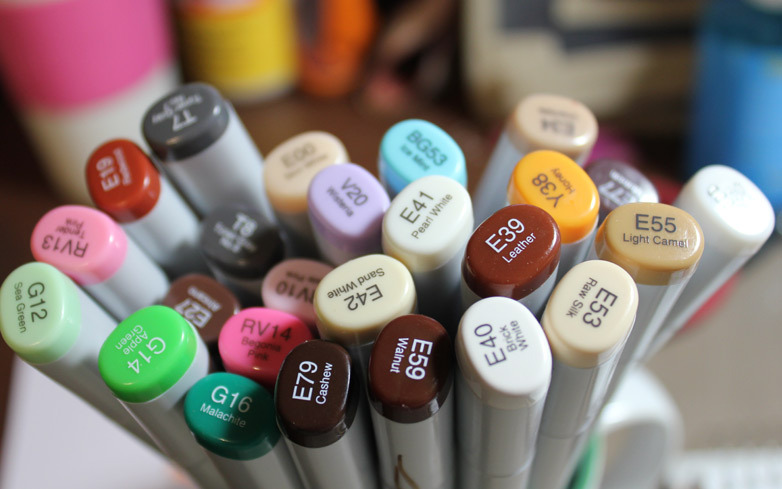 We also would love to see your lovely creations on Facebook too! Have a happy wonderful month!! Ohhhhhh this is GORGEOUS!! I loveeeeeeeeee the colors and the added twine!! Leah she is so beautiful...I love how you colored her. awesome embossed background..